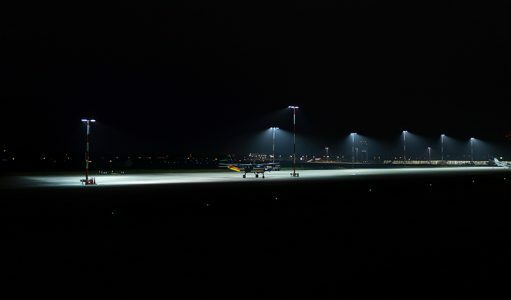 One of the fastest-growing regional airports in the United Kingdom, London Southend Airport has a history stretching back to World War I. The airport has enjoyed a resurgence over the past decade, including a new terminal that opened in 2012 which was then expanded in 2014. 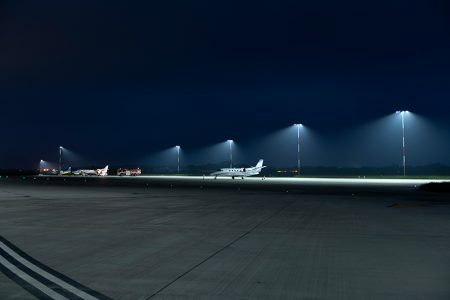 As part of that terminal expansion, Stobart Group—which owns the airport—determined that a state-of-the-art LED apron lighting system was needed. 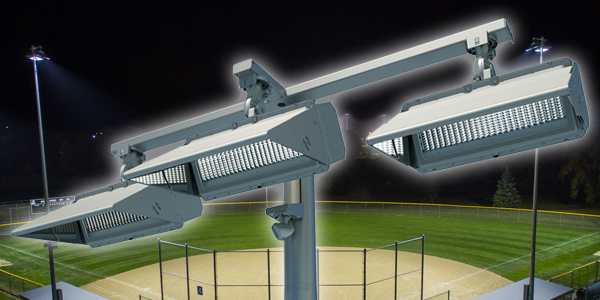 Complete System Solution – Musco’s Light-Structure System™ offered a solution complete from foundation to poletop, with lighting, electrical, and structural components designed to work together for easy installation and better reliability. 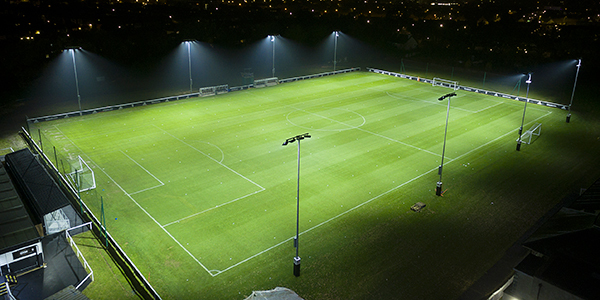 Total Light Control – the system’s custom optics deliver high-quality, uniform light to London Southend’s gate areas without spilling into unintended areas or the night sky. Improved Visibility – with patented glare control technology, the new lighting virtually eliminates glare from impacting pilots and air traffic controllers, while also improving visibility for ground staff. 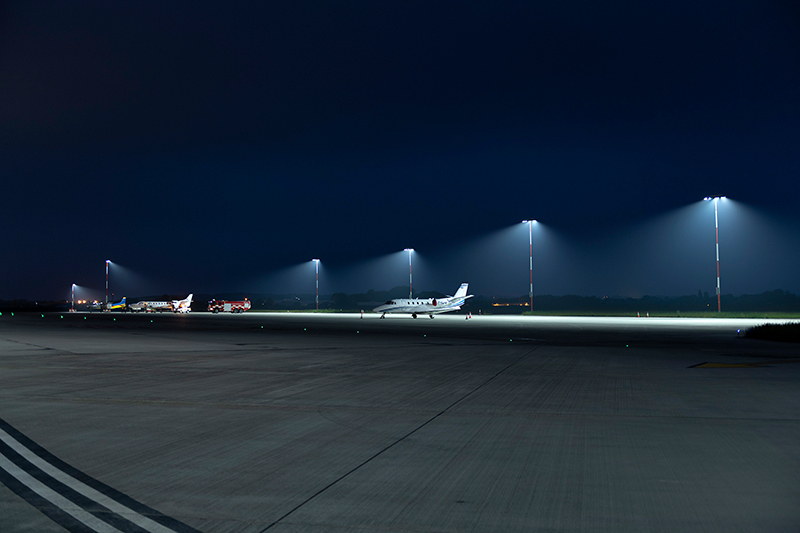 Energy Efficient – the new apron lighting will reduce energy consumption at the airport by 41 percent compared to typical metal halide equipment. 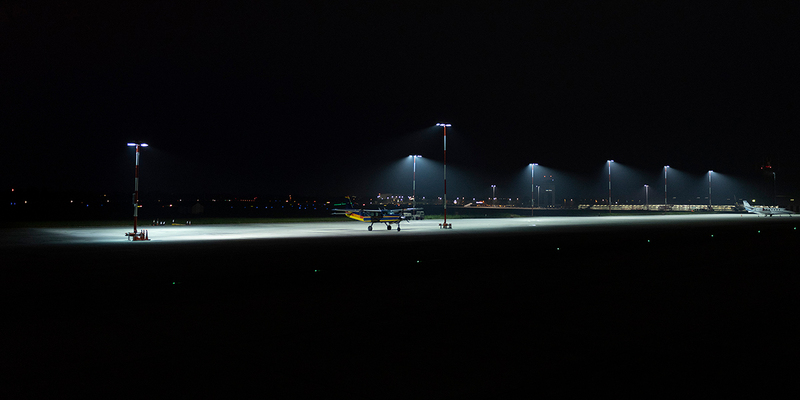 With Musco’s 10-year warranty that covers parts and labor—backed by a global team of technicians that provides on-site service—Stobart Group won’t have to handle any maintenance to the lights, or pay for it, for the next decade.